Meet the Critter Bits, the yarn busting gang! I've fallen in love with them and they make me smile. I hope they do the same for you! These guys have a full video tutorial to go along with the written pattern. They are mostly crocheted in the flat and not in the round.. read here about how the Critter Bits began. patch or 2 and they only get cuter! I think there might be more characters added soon because they are addicting to make. Please read over the special notes. Also read the order in which the video is done so you can find the parts you need more quickly. Special notes: When working in the round I worked in continuous rounds with a 3.75mm hook and worsted weight acrylic yarn. Have any questions or if you come across a mistake in the pattern please leave a message in the comment section below. This pattern will give you a doll about 6 inches tall depending on your choice of yarn and hook size. Please note I did not take note of the color codes. Use worsted weight yarn and colors of your own choice. 2-9) 1sc in each st for 8 rows. Remember to ch1 and turn at the end of every row. 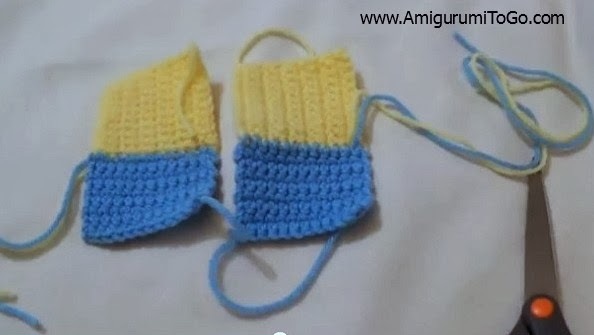 1) ch8 (begin with a long yarn tail, you will use this to sew the arm together). 6) ch2 and 1hdc 4times working across the top edge. 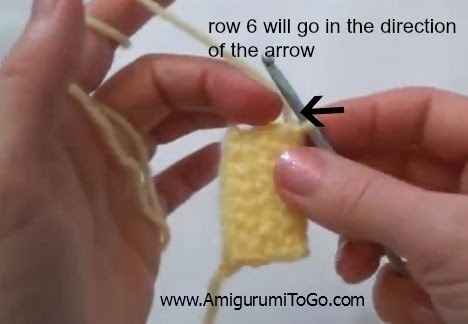 There are no real stitches to work in so you will be creating the st as you crochet across this row. 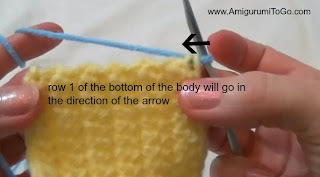 1) ch7 (begin with a long yarn tail, you will use this to sew the arm together). sl st next st and f/o leaving a long tail for sewing. Do not stuff. Sew in place after the body is stuffed and closed. Place on top of the head to cover the corner and whip stitch the bottom edge of ear to body ~ going all the way around the ear, making sure to leave no gaps. sl st next st and f/o, leaving a long tail for sewing. Sew to the bottom half of one of the body pieces. This can be done before the body pieces are sewn together. After the tail is partly sewn in place lightly stuff it. sl st next st and f/o leaving a long tail for sewing. Do not stuff the eye pieces. Sew in place after the body has been stuffed and closed. If you are putting in safety eyes then do that before sewing the piece to the head. sl st next st and f/o leaving a long tail for sewing. Do not stuff the ears. Sew in place after the body has been stuffed and closed. Place just on the top corners of the head (hold the ear in with a pin) and whip stitch the bottom edge of the ear to the body making sure to leave no gaps. sl st next st and f/o, leaving a long tail for sewing. Sew to the bottom half of one of the body pieces. This can be done before the body pieces are sewn together . After the tail is partly sewn in place lightly stuff it. f/o and weave one of the yarn tail in and out each of chains. The yarn tails should now be at the same end. Sew to the bottom half of one of the body pieces. This can be done before the body pieces are sewn together . sew the smaller antlers together to form a tube then sew those in place while the larger antler piece is still flat. Once you have all the smaller pieces sewn in then sew the larger antler to form the tube then sew to the top of the head. You can put the eyes and face in before sewing the 2 body pieces together OR do this step after the whole Critter is stuffed and closed. I do the latter and show how to do this in the video. Put the 2 body pieces together, begin from where you joined the colors working from one side of the bottom half whip stitching all the way around to the other side. Knot off when finished the bottom half and tuck the yarn tail inside. *The top half will be sewn closed a bit differently depending on which animal you are making. Sewing the legs and arms in place. stretch out the open part of the leg a bit with your fingers, wrap the open part of the leg around the side of the body, the bottom corner of the body will be siting inside the flap of the leg. Sew around, f/o and hide yarn tail inside body. And that's it! 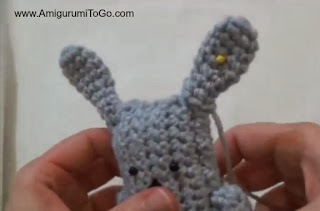 I hope you got yourself a Critter Bit made and if you did please post pictures on my facebook page ~ Happy Crocheting!! I love them! I'm going to make one soon, I just haven't decided whether it's going to be a bear or a bunny - they're my favourites. If you come up with more variations, I'd also like to see those. I made the bear and although it's still missing its face - I can't decide whether to get buttons for eyes or make felt ones - it's already really cute, but sort of in a grumpy way. I love the slightly grumpy look your bear has and I'm trying to imitate it. And I might also make a scarf for it. Anyway, thanks for posting the pattern!